Denver Post reports a fatal car accident occurring near Salida. The victims of the car accident were Littleton residents. The couples car crossed the median into oncoming traffic. In the east bound lane A Dodge pick-up truck driver could not avoid the head on collision. The couple in the Ford ranger were pronounced dead on the scene of the accident. The Dodge driver was flown to the nearest hospital. Police are investigating the reasons for why the couples Ford crossed into the eastbound traffic. Have you been involved in a car collision in Littleton? 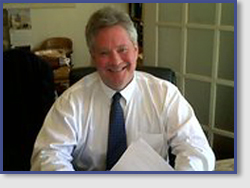 Contact a Littleton car accident attorney. Both drivers in this report are identified as senior citizens. There is a lot of conflict about elderly driver safety. Statistics from the CDC show that elderly women over the age of 60 are at the most risk of an accident at night and in bad weather. Male drivers are more likely to get into an accident at night or in bad weather after the age of 30. In 2008, the most recent date of data, more than 5,000 older adults were killed in motor vehicle crashes.